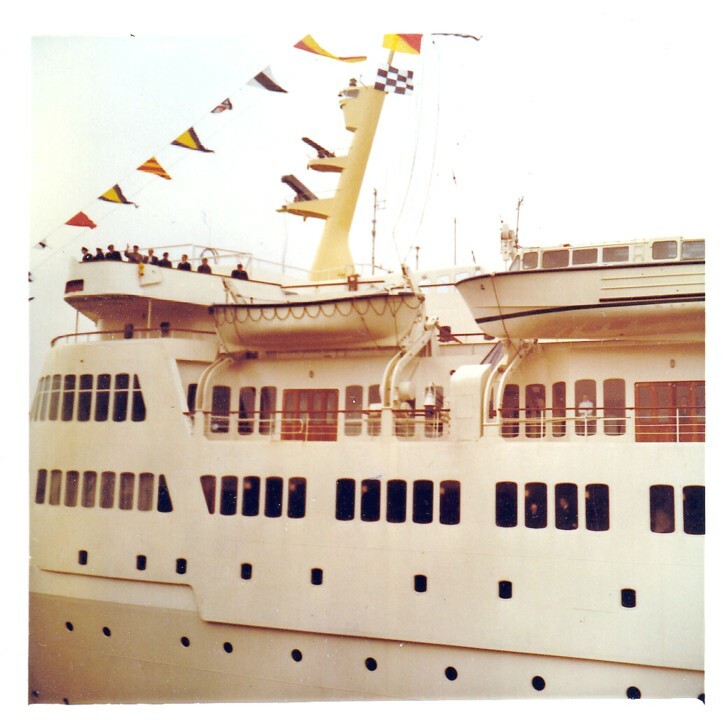 Åke Nilson, son of B-G Nilson, from 1967 Vice President of SAL, freighter operations, has contributed five private photos of the Kungsholm of 1966. 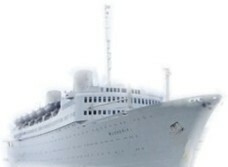 The freighters formally operated within a separate company, Svenska Atlant Linien from 1967. Please find attached four pictures which show the Kungsholm and her tenders in Gothenburg. 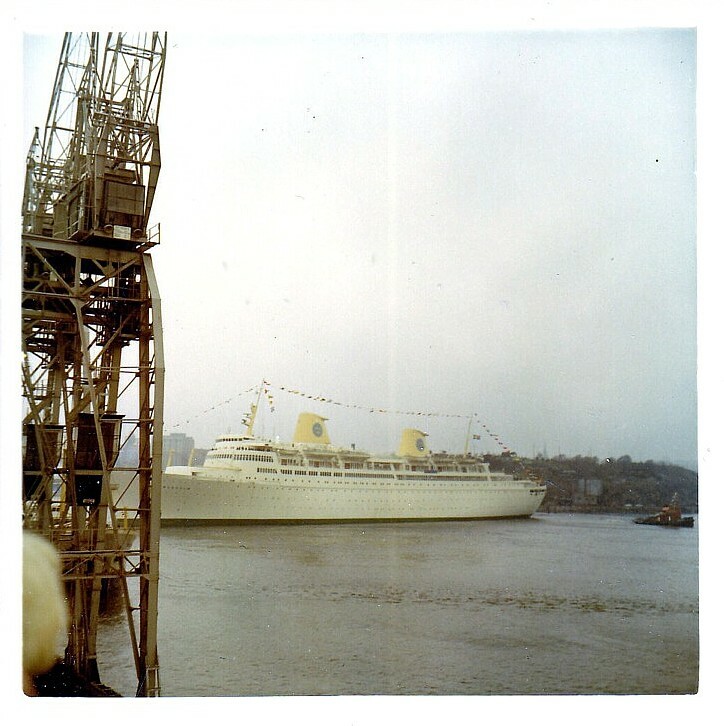 It is possible - but unfortunately I am not altogether sure about this - that the pictures were taken when Kungsholm first arrived at her home port, which was in March 1966. They are taken from an upper level of "Amerikaskjulet" - the SAL terminal in Gothenburg. 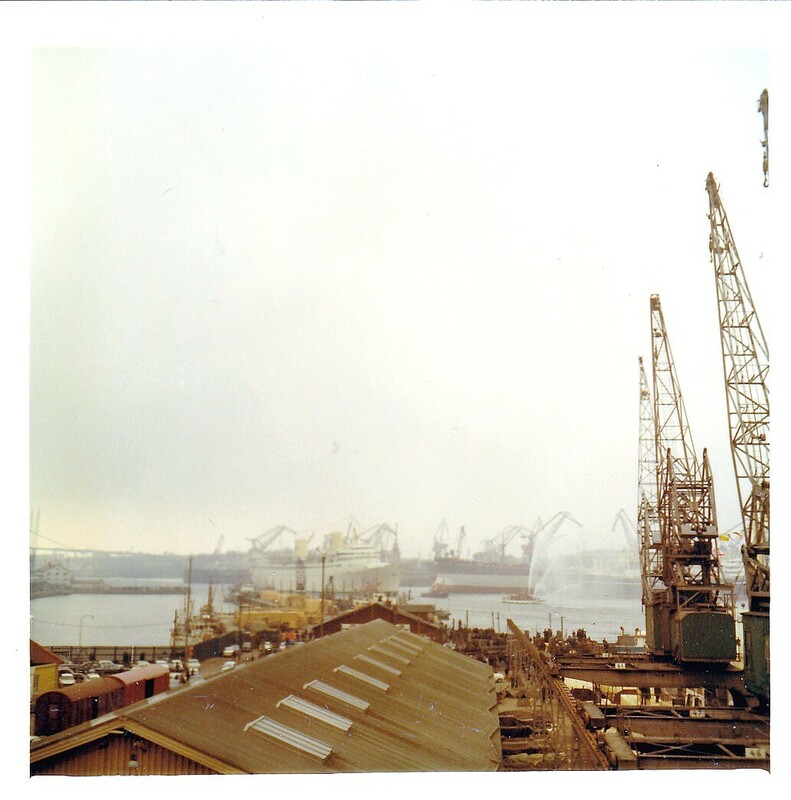 In picture 1 you can just about see the northern (Hisingen) end of the Älvsborgsbron, which was being built at the time. (As a curiosity note, the bridge and the ship were actually designed for each other - the minimum free height of the bridge span and the maximum height of the ship were planned together.) Picture 2 shows the ship being turned around, and 3 and 4 are closer views of the tenders. 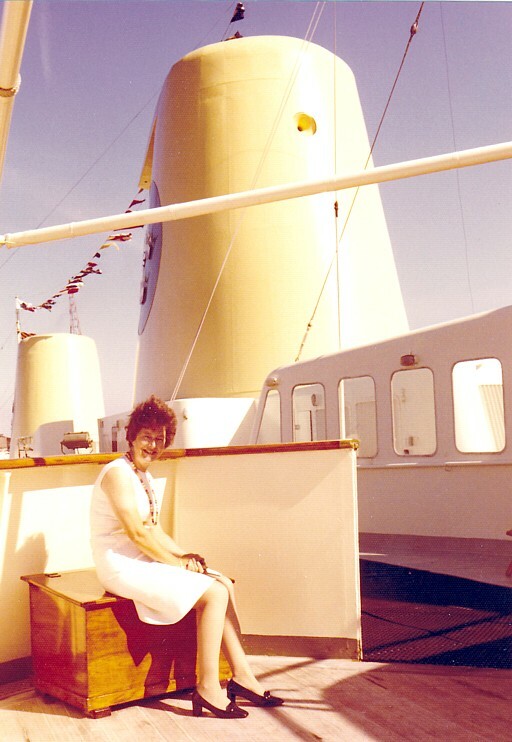 The fifth photo shows Åke's mother Ingrid on board the Kungsholm in the late 1960's. This contribution has inspired me to start a small section about SAL's freighters. Do you have private photos of the freighters? No postcards, please. It is a general policy of this site to publish photos that can't readily be found on other sites. Of course, there are exceptions to this rule, and unfortunately we can't stop anyone from copying and downloading photos from this site, even though it is considered unethical. 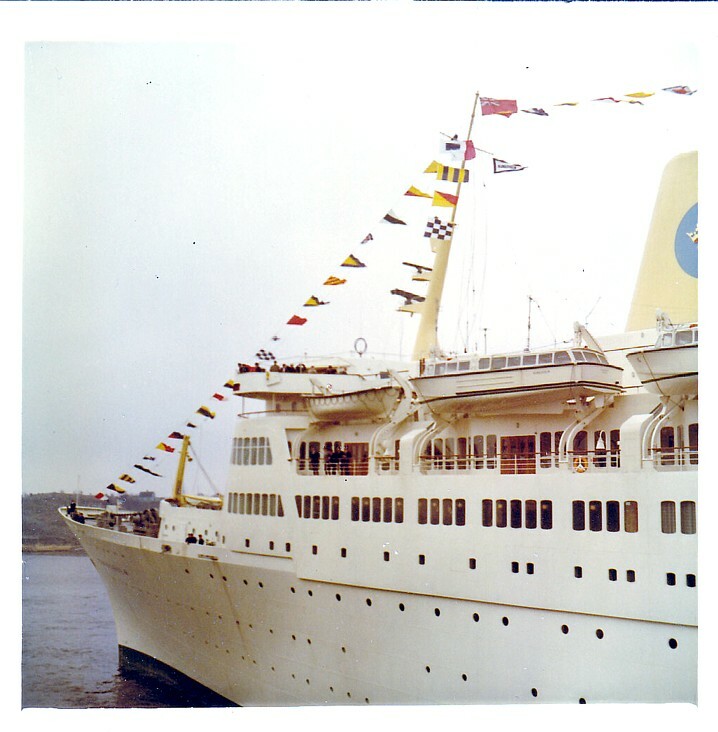 theory that the photos show the Kungsholm's first arrival in Gothenburg.